We inherited several traits from our paternal grandmother, among them a love of calorie-rich food and an admiration for the actor James Garner. Our grandmother would Drop Everything if Garner made an appearance on television. Who could blame her? He was handsome, charming and easy-going. He was also a fine dramatic actor, as evidenced in The Great Escape (1963), a WWII drama based on an actual escape from a German POW camp. Garner stars as an American aviator imprisoned in a camp built for the most difficult prisoners (i.e. the ones prone to escape). The guards insist Escape Is Futile. It isn’t. Getting out is relatively easy; it’s staying out that’s difficult. Look at Steve McQueen‘s character. With 17 escape attempts on his record, he stages #18 on his first day in this camp. Then there’s Richard Attenborough, a British officer under Gestapo surveillance. They’re nervous about Attenborough, and with good reason. He isn’t in the camp 20 minutes before he’s scouting escape routes. The men devise an ingenious plan: They’ll build a tunnel, 30 feet underground, to the forest outside the camp. It will have a primitive “railway” to transport over 200 prisoners to freedom. Each prisoner plays a role the escape. 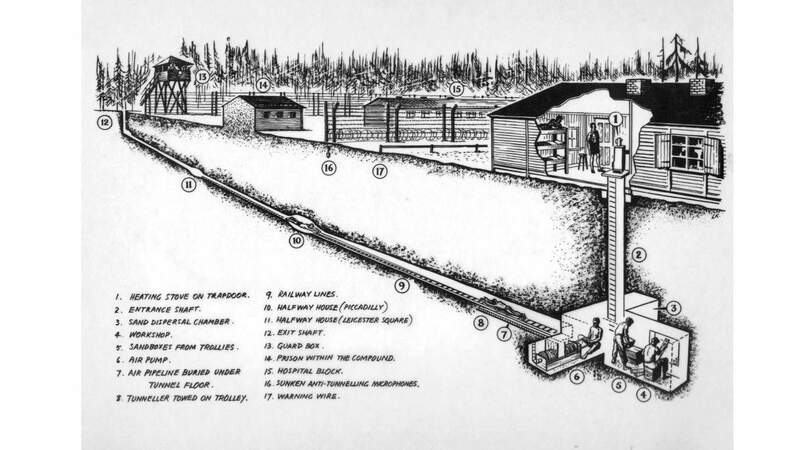 As the “Scrounger”, Garner sources materials needed for tunnel construction, as well as documents to be forged for escapees once they surface in German society. Garner’s character is like a magician. He creates distractions to steal everything from food to engine parts to paperwork. It’s best to keep an eye on your wallet when he’s around. And yet, in a movie about courage, his character proves to be exceedingly brave, and compassionate. The Great Escape is, basically, two films in one. The first half is a light-hearted look at the building of the tunnel and the prisoners’ concealment of said activity. The second half ratchets the tension as it focuses on the escape itself. There are no amusing escapades now. German officers are livid and want Payback. For the escape, Garner partners with a British officer (Donald Pleasance), an expert document forger. Sadly, Pleasance has progressive myopia. He’s almost completely blind. Attenborough fears poor eyesight will prove disastrous, and he bluntly tells Pleasance to stay behind in the camp. “A blind man is an unnecessary hazard, not only to himself, but to the whole plan, and must therefore be eliminated from the operation,” he says. The news is crushing, not only to Pleasance, but also to Garner. He argues Attenborough himself poses the greatest hazard, because the Gestapo have him on Their List. Garner knows the risks in helping Pleasance; he has a better chance alone. But he won’t desert a man who can almost taste freedom, blind or not. This is why we admire Garner’s character: He values life and friendship. He looks past the disability and finds a man who’s worked as hard as anybody for this opportunity. It’s a brave decision – almost as brave as Pleasance agreeing to it. Of course, this wasn’t the only daring escape from a POW (or any other) camp during WWII, but the audacity! The scope of it is breathtaking. 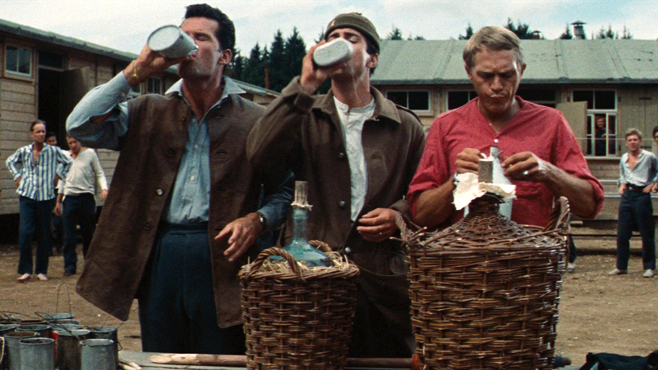 The Great Escape was filmed in Germany and was nominated for Best Film Editing. Although this film runs nearly three hours, it never drags, thanks to a tight script and a terrific cast, including the dashing James Garner. The Great Escape: starring Steve McQueen, James Garner, Richard Attenborough. Directed by John Sturges. Written by James Clavell and W.R. Burnett. United Artists, 1963, Colour, 172 mins. 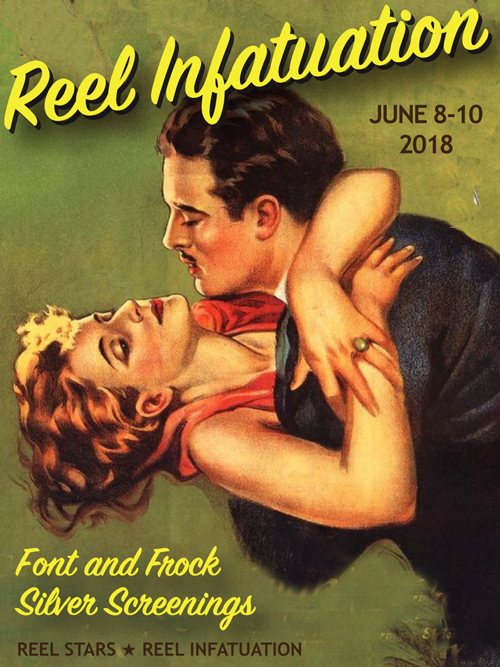 This post is part of the REEL INFATUATION BLOGATHON hosted by Font and Frock and yours truly. Previous #ReelInfatuation Blogathon Starts Friday! One of those rare movie lines that, no matter how many times I hear it, gives me chills and shatters my heart into tiny pieces. Hendley/Garner is most worthy of your affection. It’s remarkable that someone would potentially jeopardize their own escape chances by helping someone else. It think it demonstrates a trust between the two men, and it shows they’re both incredibly brave. Great movie! The scene when Garner and Pleasance run into the Germans always makes me tear up. It’s a powerful film. And I love James Garner! That scene with the Germans is one of the scenes that sticks with me the most. The first time I saw the film, I didn’t expect things to play out the way they did. Like you said, it is an emotional scene. Terrific film. Ah, James Garner 🙂 What a gorgeous man he was. I love him the most in The Rockford Files. What a worthy crush – handsome and gallant (n a coll sort of way). Thanks you so much for co-hosting this fun event. My heart is all a-flutter! Haha! My heart is all a-flutter, too! Garner seemed to be highly regarded by many people. I’m especially glad to hear that about your mother. Lovely post,y our grandmother had great taste… I inherited a love for Dallas from mine. But know like me she also had a soft spot for 80s Tom Berenger. Thanks for a great blogathon so enjoyed writing my post!! I love James Garner. Sadly, it’s been so long since I’ve seen this film, that I really don’t remember it well. It’s definitely time for a re-watch. James Garner is great whether playing a hero or anti-hero and I don’t think he gets enough credit for his talent. An excellent film!! And I totally agree with your grandmother about James Garner. Now I just might have to get this film from the library and watch it again! My grandmother would have loved all this internet love re: James Garner. But she did have great taste in many areas: clothing, food and movie stars. I’m another who very much likes the performances of James Garner. Must re-watch The Great Escape very soon! I’m glad James Garner still has a lot of fans. It would be a shame if he were to be forgotten, no? 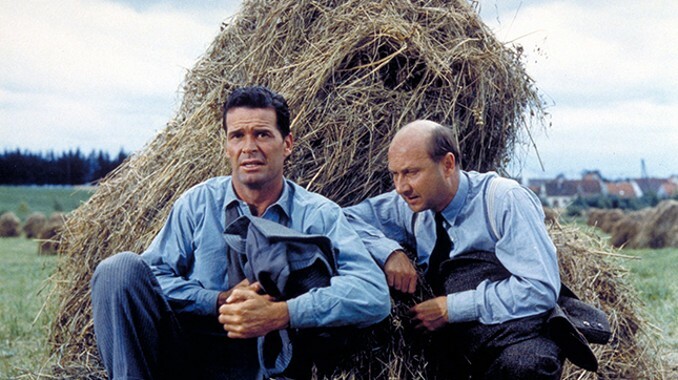 THE GREAT ESCAPE is a long-time favorite and James Garner is one of the key reasons why. Everyone remembers Steve McQueen, but the two characters I find most compelling are Garner’s and Bronson’s, In addition to the easy-going charm you described, Garner also brought to humanity to his role (as he so often did). What an excellent choice for this blogathon! Thanks, Rick! I agree: Charles Bronson is really good in this film. I thought he handled the accent well, although maybe others would disagree. Question: Did Steve McQueen’s iconic throwing the ball against the cell wall originate with him, or was it featured in an earlier movie? Thank you, thank you, thank you for gifting us with this post. James Garner was everything, wasn’t he? Thanks for giving us even more reasons to love and appreciate him and his very diverse acting ability. He is so crush-worthy in so many things, this definitely being one of the best. I don’t think I’ve seen a James Garner performance I disliked. He makes acting look easy, doesn’t he? I agree “The Great Escape” is one of his best roles. Granted, he has good material to work with, but he makes the character believable and memorable. Oh, I agree on both counts. He was always terrific. I feel like his performance in this film is sometimes overlooked, and that is a shame. Agreed. Steve McQueen seems to get all the glory here, for some reason. I mean, Steve McQueen is great, so I get it. I just think that Garner is better. He was almost always better compared to everyone else, which is rarely acknowledged. I haven’t seen this film since I was a kid, but that line reminds me why Garner always has grabbed hold of me, and McQueen (a much colder sort on film) never has. There’s something about the warmth of his presence that always got me, that and his marvelous voice. But I’d forgotten why this film was such a favorite of my aunts. Thanks for reminding me and sharing the post on the historical escape, which I can’t wait to read! And thanks for hosting such a great event. I don’t get the appeal of Steve McQueen, never have, but maybe it’s because I haven’t seen enough of his films. As for James Garner, he’s altogether different. I hope you get the chance to see the film again, and I do hope you can read the article on what really happened during the escape. Based on that article, I thought the screenwriters did a pretty good job of adapting the story to the screen. But the article itself is a fascinating read.